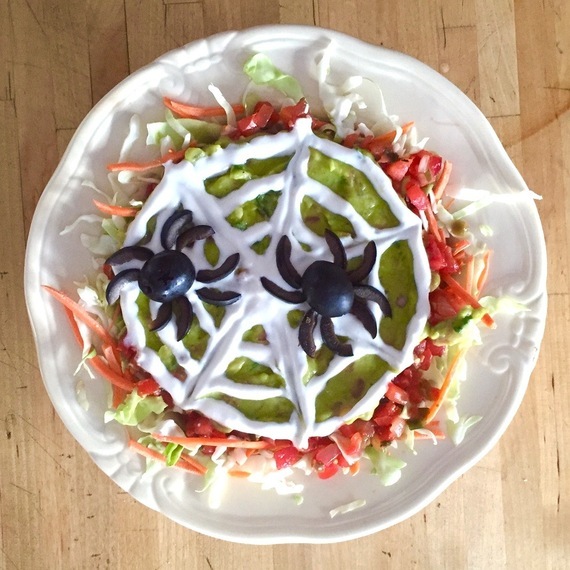 Not only can you feed your little goblins something healthier for their Halloween party, they can help you make them. Maybe there's the trick to the treat. When I was a kid, we didn't have Halloween parties. On Halloween night, my mother would tell us to put on the biggest coat we could find in the hall closet and proclaimed us "Bums." Sometimes my sisters and I got an old hat and some dirt (actual dirt) and smeared it on our cheeks. A pillow case completed the ensemble, which we used to carry our candy stash. It wasn't eating the candy that was so great, it was chasing it. As soon as it got dark, I went out with my best friend and we walked up and down the blocks of our neighborhood. Many people made their treats. I can still remember Mrs. Waterman's caramel suckers. They had raisins for eyes and every sucker had a crooked licorice whip smile. The best house gave out pomegranates from their backyard tree. Messy, sticky, drippy and sweet, it took an hour to finish one entire fruit. When people's porch lights went out, it was time to go home. Lord, I feel like I just wrote a Leave It To Beaver reunion script. Yes, it was a simpler time. Halloween has become the biggest holiday for decorating, parties and costumes. Stores spring up for a month and sell more stuff than you can imagine: Bloody rubber axes, severed fingers, fog machines, Games of Thrones armor. Ugly and a chemical nightmare. I went into one such pop-up store and was deeply frightened (by the price tags). You can imagine my horror when we were asked to make healthy Halloween treats. Why? We've been asked several times and I had resisted. I think kids want candy for Halloween. Or cookies, cakes, and ice cream. And caramel apples. Made by hand. Last year, I saw a TV segment where a baker ground up veggies and made cupcakes. Talk about a witch. We put on our thinking caps and came up with the cute, healthy and tasty recipes below. Not only can you feed your little goblins something healthier for their Halloween party, they can help you make them. Maybe there's the trick to the treat. 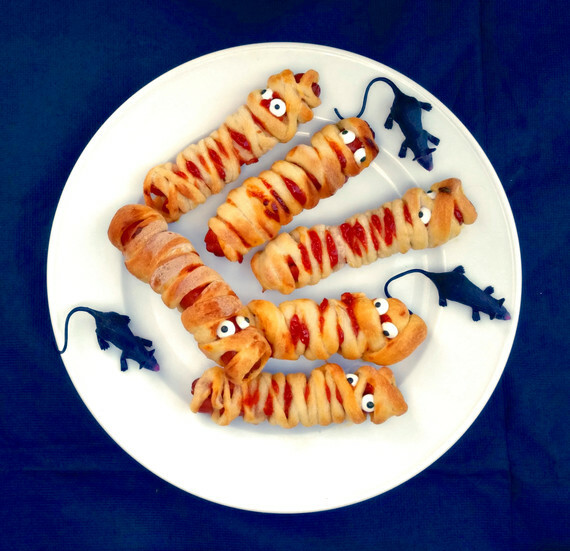 The thinner you cut the strips of pizza dough, the more mummy-like these ghoulish goodies will look. Preheat oven to 400°F. Spray a baking sheet with non-stick cooking spray. Using a sharp knife, split each hot dog down the center; fill each hot dog with ½ teaspoon ketchup. This will look like oozing blood when cooked. Wrap strips of pizza dough around hot dogs. Place on prepared baking sheet and bake until golden brown, about 12 minutes. Remove from heat. Nestle 2 candy eyeballs into the end of each hot dog. 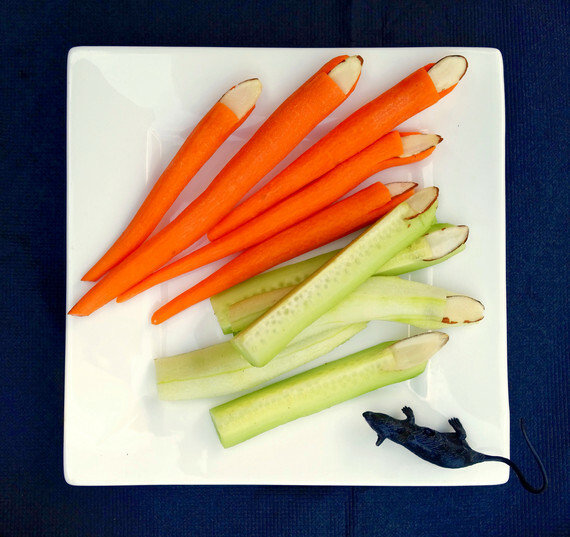 You can also use zucchini, yellow squash or celery sticks; any vegetable that you can cut into finger-shapes. Cut cucumber into 5-inch sticks. If carrots are large, cut into 5-inch lengths. Using a peeler, peel down cut one end of veggie sticks to round them (like the tip of a finger). Slice into the tip of each finger, basically slicing away where the fingernail would be but going into the finger about ¼-inch deeper. Starting ½-inch back from the tip of each finger, cut straight down into finger and remove the wedge of vegetable to make space for the fingernail. Insert a sliced almond into the tip of each finger. You can make your own guacamole, salsa and black bean dip if you'd prefer but this is much much much easier. Anyway, if you think those little tricksters will care if it's homemade guacamole you've started drinking the hard cider early. To make this even easier, serve it with any kind of chips you like; we just liked the scary dagger shapes of the homemade tortilla chips! To make the chips, preheat oven to 375 degrees F.
Spray tortillas on both sides with cooking spray. Sprinkle one side with salt and cayenne pepper. Cut into long skinny triangles and place in a single layer on baking sheet. Bake until crisp, 4-5 minutes. Remove from heat and let cool. Place sour cream and water in a small bowl, stirring to combine. Set aside. 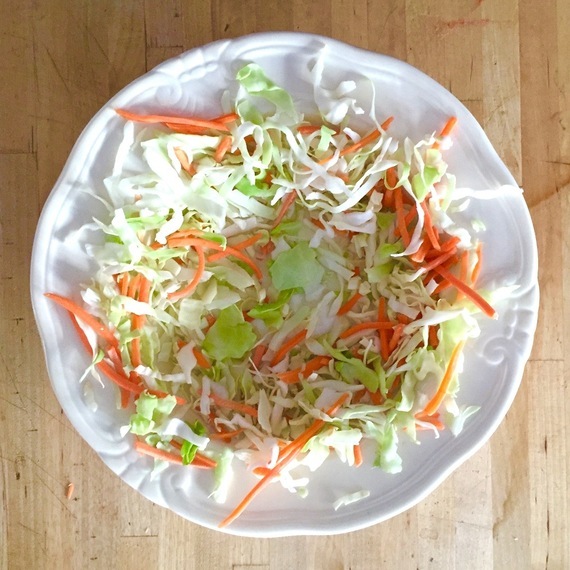 Place coleslaw in a medium shallow bowl, making sure to cover the sides of the bowl and letting some stick out over the top. 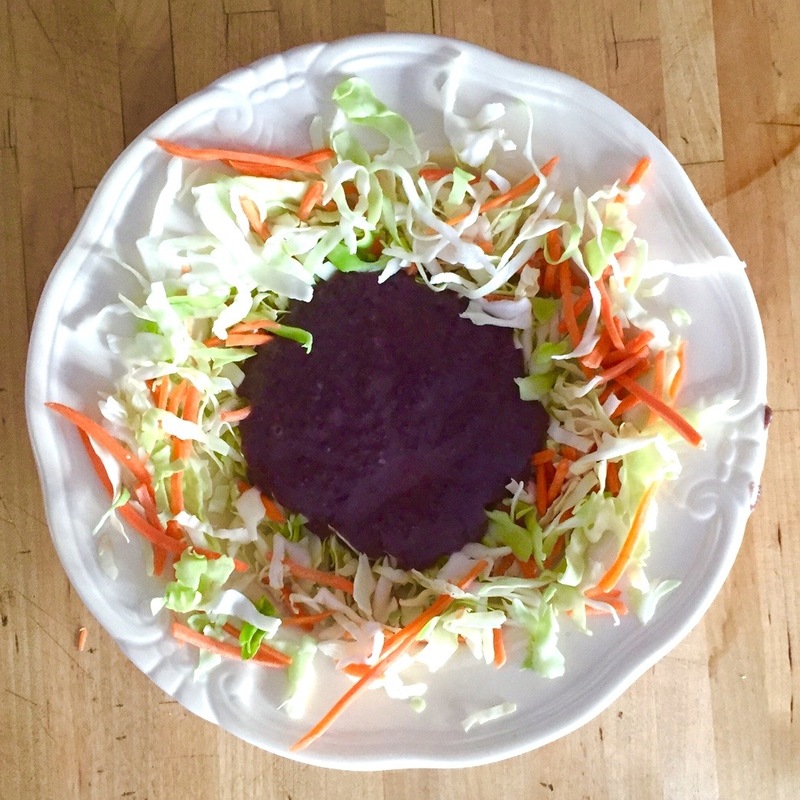 Spoon bean dip over cabbage in bottom of bowl; smooth top. 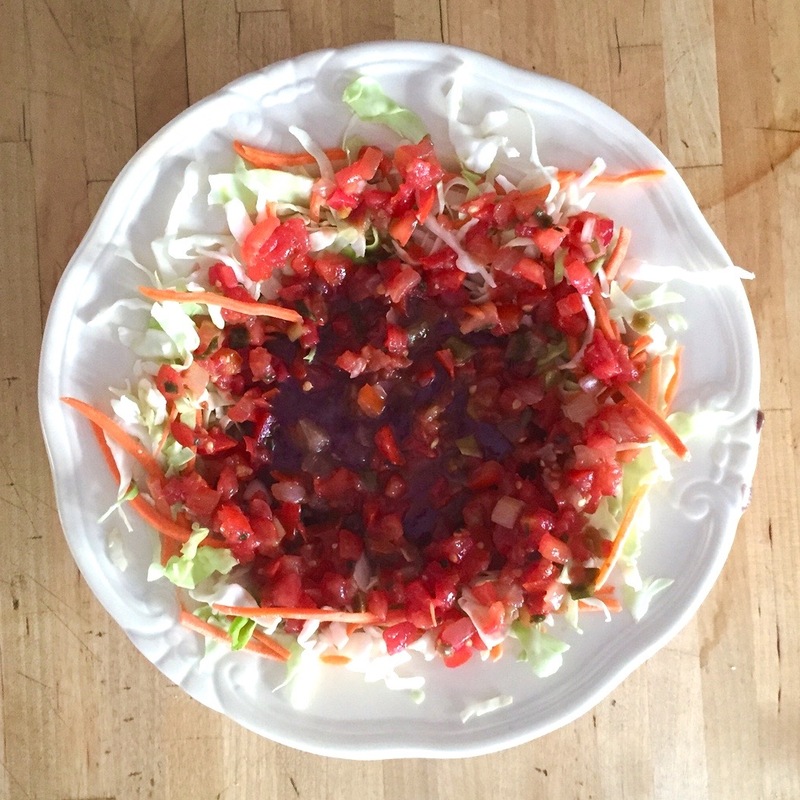 Place salsa over black beans. Spoon guacamole over salsa, smoothing top with a spatula or butter knife. 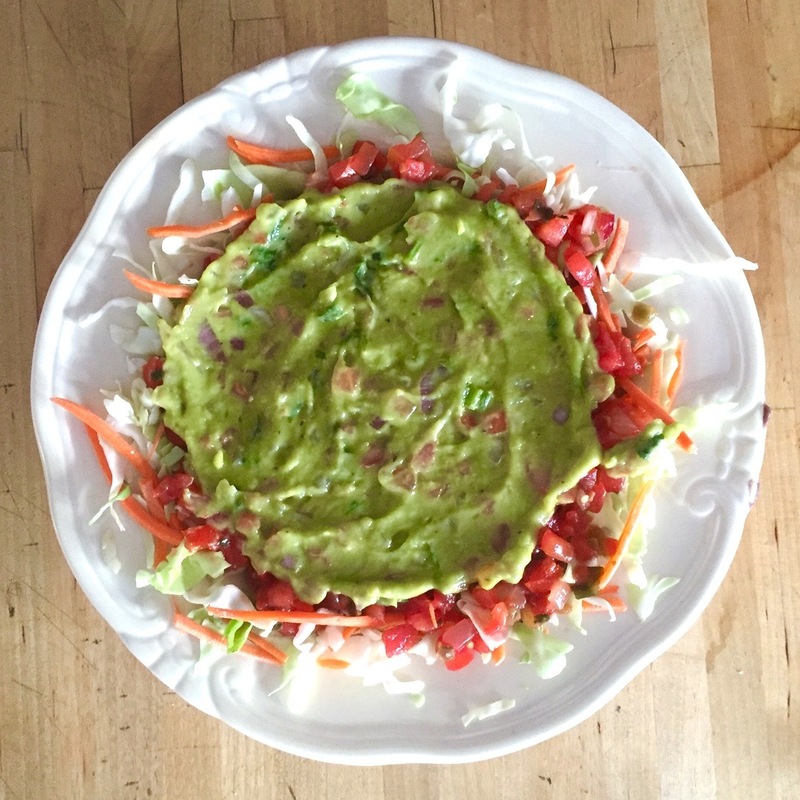 Using a squeeze bottle (or a spoon if you have good hand-eye coordination), place about a tablespoon of sour cream in the center of the guacamole. Starting at the center of the sour cream, draw a spiral over the guacamole all the way to the edge. Lightly drag the blunt end of a skewer (or other object: small paintbrush, lollipop stick, paper straw, etc.) 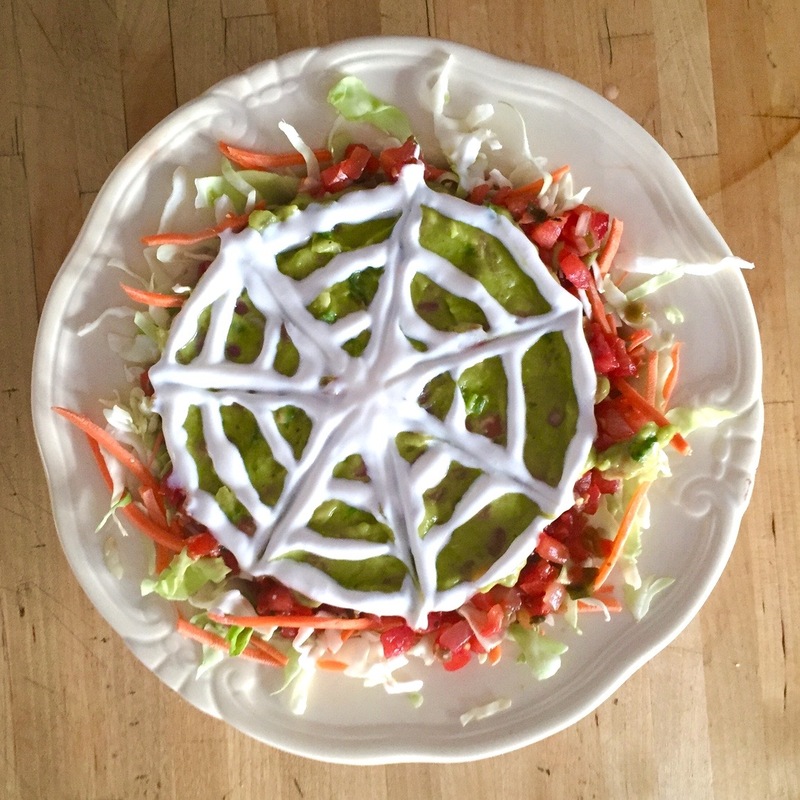 from the center of the sour cream to the edge of the guacamole. Touch up any parts of the web with extra sour cream. 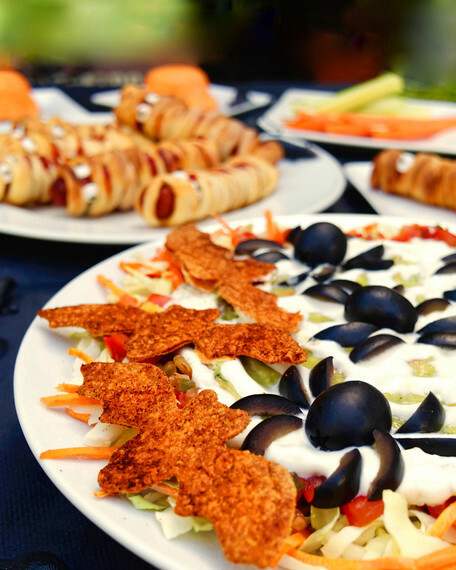 To make the spiders, cut half of the olives lengthwise into 8 wedges each to make the legs. Place whole olives on the sour cream web. Place the olive wedges around the whole olives to make the legs. Denise is the author of eight cookbooks.